- Minimize printing interruptions and save time, using a different paper tray for each paper type. With multiple paper types ready to print, there's no need to waste time switching paper types in and out of paper trays. 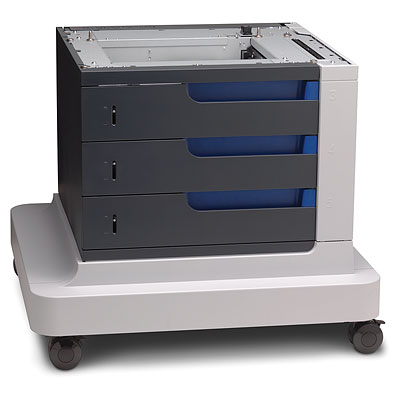 - Expand your printer capacity to 2100 sheets – ideal for high-volume printing environments. A paper capacity of 2100 sheets keeps multiple users printing with fewer stops and interruptions. - Support a wide variety of paper types and sizes – letter, legal, A4, A5, B5, 16K and more. Each tray features a media weight sensor that automatically adjusts settings to ensure consistent print quality.